What is the difference between Italian and Carniolan Honey Bees? Home / Beginning Beekeeper / What is the difference between Italian and Carniolan Honey Bees? 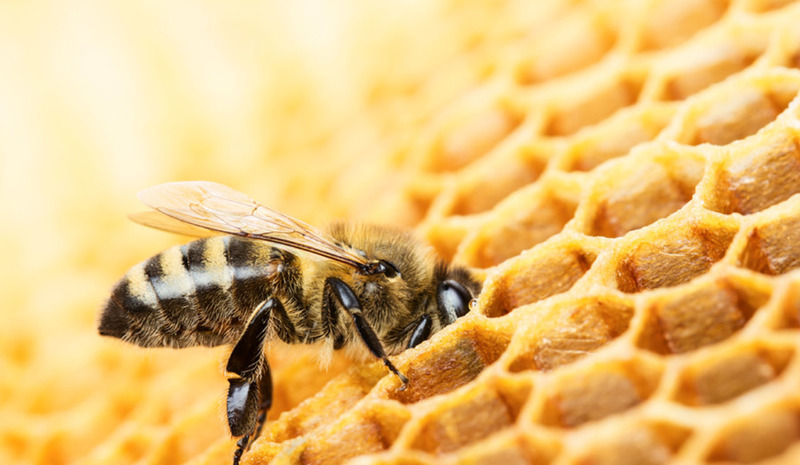 This article is focused on the generalities of each bee. As we all know, the queens will ultimately determine the characteristics of the hive. So each hive will ultimately have their own characteristics. We keep a ratio of 50% Italian and 50% Carniolan hives in our bee yards. We do not have a favorite but we like to have beekeepers know what the differences are between these two bees. With that said, let’s look at the following characteristics: popularity of the bee, spring brood production, fall brood production, swarming tendencies, temperament, honey production, and wintering. 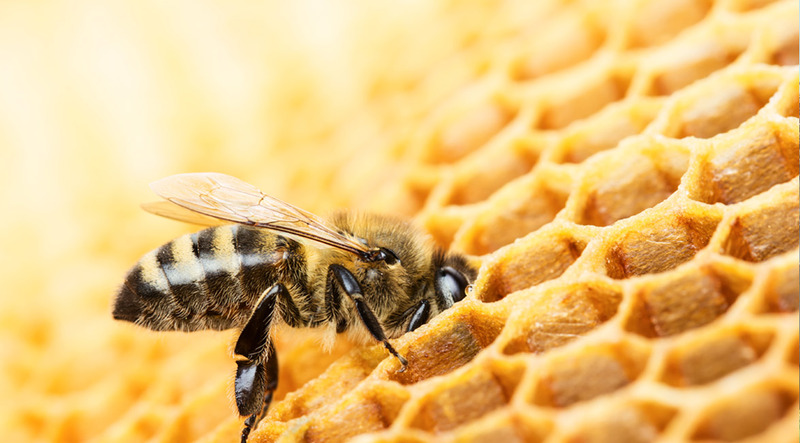 By far, the Italian honey bee is the most popular bee for beekeepers in the USA. The Italian bee is so popular and manageable that they are easy to work with for new beekeepers and experienced beekeepers. Carniolan bees are in the minority of bees in the USA. Italian queens begin very early in increasing their brood production. The queens tend to begin increasing their brood production once the pollen begins to come into the hive. In Georgia, we can see this happen once the Maple trees begin to bloom. The Carniolan Queens have a slower start-up in brood production and require more pollen and some nectar coming into the hive. We have seen about a 45 day delay on brood production. Italian queens tend to reduce their brood production, as soon as, the nectar sources end. In NE Georgia, this can be seen in August. This will mean that you will have average hive population going into winter. 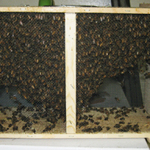 Carniolan queens tend to continue strong brood production into late September. This means that you will have stronger hives going into winter. First, all bees have tendencies to swarm under certain circumstances. It is the way they were designed to reproduce themselves. The Carniolan bee has a higher tendency to swarm in the first year going forward. This should not be under-estimated. 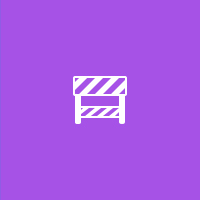 The reason why swarming is a higher risk is due to the following issues: 1. The queen production of brood is explosive. Once the queen begins to lay maximum eggs the hive can run out of bee space within 60 days. 2. 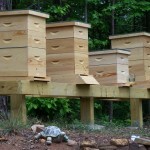 Lack of bee space can be overcome by adding additional supers and allowing more bee space within the hive. 3. The Carniolan just has a genetic trait to swarm. The Carniolan bee will aggressively defend the hive. However, they are manageable. Carniolans tend to need a little smoke to calm the hive when you have to work them. Once the smoke has entered the hive the bees will calm really well. Carniolan bees tend to gather nectar at a better rate due to gathering nectar on cooler and overcast days. It has been our experience that the Carniolans produce about 15% more honey then the Italians due to their ability to fly on cool and overcast days. The Carniolans normally will go into winter with a large cluster of bees. This is a positive, in one regard, and a negative also. 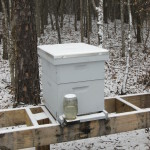 The positive is that the cluster will keep the hive warm throughout the winter season. The main negative is that the large cluster needs to eat and thus they will eat through their stored honey much more rapidly. This means you will need to feed your hive sugar water in early to mid-February.